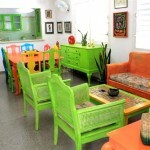 The house is located on the corner of 17th Street with garden and showers on the outside of the house, has a beautiful Portal where you can rest. 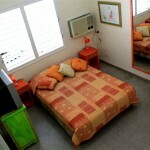 The house has 3 bedrooms, each with private bathroom, plus each room has air conditioning, fan, TV, minibar, addition to hot and cold water 24 hours, customers can make use the rest of the house with TV room, dining room and kitchen. 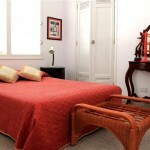 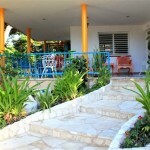 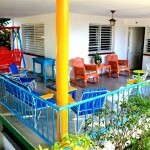 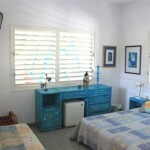 It is located approximately 30 meters from the beach and the apartment owners is separated from the rest of the house.